Caesar salads are very popular in my home. They’re Ed’s favourite and I enjoy them too even though I’m not a big fan of leafy salads. I like to make my own bacon bits and croutons (see my crouton recipe here). 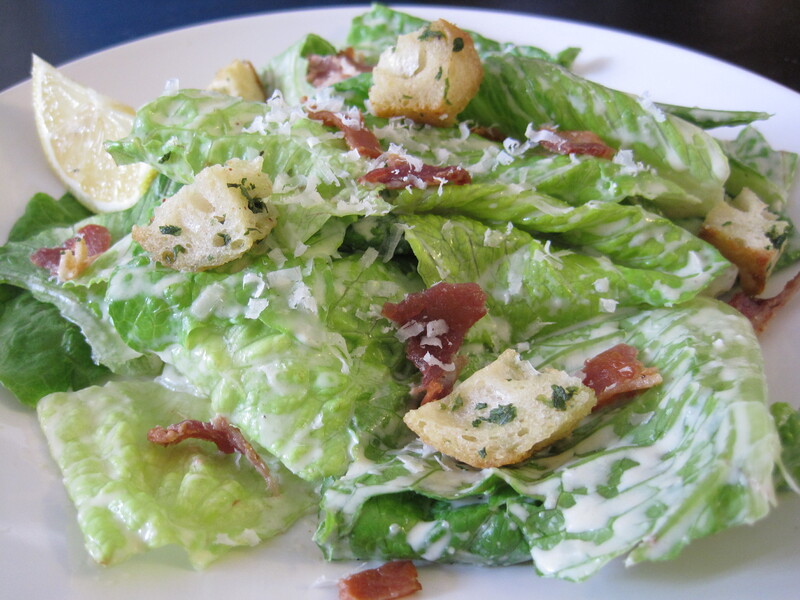 Here I share with you my favourite caesar dressing recipe. In a food processor, pulse the garlic, anchovy fillets, and dijon mustard until coarsely chopped. Then add the egg yolk and process until well combined. Scrape down the sides of the bowl. With the food processor running, add both of the oils in a continuous thin stream. Then add the lemon juice and a pinch of pepper, and mix again until well combined. Adjust salt and lemon juice to taste. Then add the parmesan cheese and romano cheese (if using) and pulse until combined. Refrigerate until ready to use. If you prefer a thinner consistency, add 1 tbsp of water in a thin stream with the food processor running. Since this dressing contains raw egg, do not keep it for more than 3 days. I’m So happy to hear that! 🙂 Thank you for commenting! Your recipe is great! thank you again for sharing! Definitely agreed. I totally love this blog.